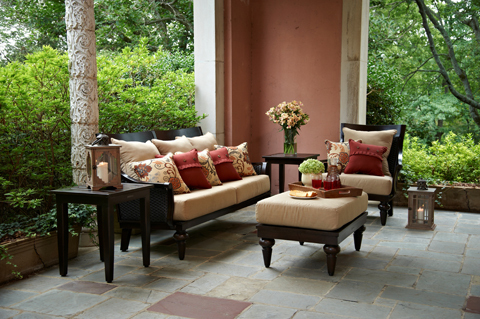 Consumers want to bring the look and feel of their interiors outside, so many manufacturers now make patio furniture that feels and looks as good as indoor pieces. As outdoor designs become increasingly more comfortable and stylish, many people are even placing outdoor furniture inside, which further blurs the lines of what should stay in or outdoors. For customers who want patio furniture to be an extension of their living rooms, look at the examples below to help them get the comfort and style they seek. Peak Season is known for helping people feel at home outside, and the new product introductions for 2013 carry out that mission beautifully. A perfect blend of yesterday and today, the Somerby deep seating options from Peak Season feature turned leg detail and flared arms with a large framed panel back. The multistep, hand-grained Perdido finish brings elegance and style to any setting. Designed with clean lines, Regatta from NorthCape International boasts a low-profile frame and tailored cushioning. This refined collection is perfect for those who appreciate a streamlined style, yet long for the comfort of plush deep seating. 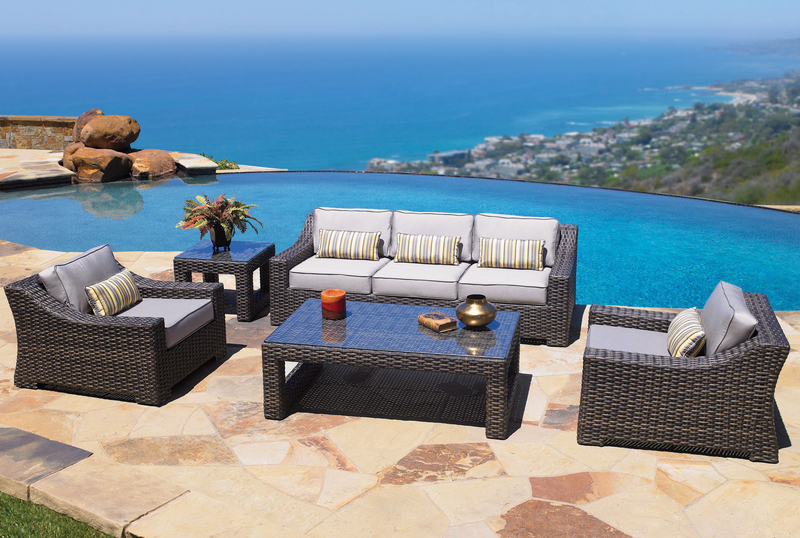 Regatta features an elegant, curved arm; a lightweight aluminum frame; and durable, UV-protected polyethylene woven resin for lasting durability.